Invisalign is the newest, most modern way to give you a straight smile. What makes Invisalign unique is that there are no unsightly, uncomfortable metal wires or brackets. 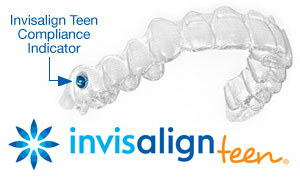 Instead, Invisalign appliances are made of clear, comfortable plastic virtually invisible to you and everyone else. Dr. Kunio Chan of One Dental Care, in Billerica, MA wants you to know- what is so special about Invisalign. Dr. Chan will begin your Invisalign treatment by creating your first set of trays, called aligners. You wear the first set for two weeks and then change to a new set which you wear another two weeks. You continue changing aligners every two weeks as your teeth gradually shift into their correct position. Treatment typically takes nine to fifteen months. Just imagine nine to fifteen months of comfortable movement, and then you have a straight smile! Invisalign can help fix overlapped or crowded teeth, close gaps, and poor bite alignment. Call One Dental Care in Billerica, MA at (978) 894-1166 to get started on your new smile!